We know that moving to a new house is stressful enough. But whenever you get to move to your new place, it’s most likely very clean on the first visit. Of course, tenants have a right to receive a clean and hygienic property. But when it comes to leaving your rented home, you will need to vacate cleaning. So to hand over the place the way you first received it and in order to get the full bond back, you must ensure the standard is well maintained for the inspection at the end of a tenancy. Vacate cleaning plays an important role as it can help you get your entire bond amount back. Whilst, if vacate cleaning isn’t that good enough, your landlord can incur fees against your bond to hire a much effective cleaner. You don’t want that to happen, eh? So, if you are planning to move out soon and don’t have the time and love for cleaning, then call for a professional help! 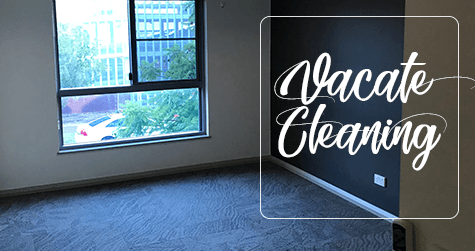 At Maid in Perth, we have been providing vacate cleaning services for many long years. Our dedicated cleaners will ensure to clean every corner of your once rented house. Leaving your landlord in awe for a flawless kind of clean. Furthermore, our vacate cleaners can work as per your instructions depending on your budget. And specific requirements. Hence, with our keen attention to details and quality vacate cleaning service, we can guarantee to meet your expectations. By setting a goal to be the best cleaning company, we make it a point to deliver utmost quality cleaning service by catering all your cleaning needs. Don’t bother going the extra mile to get your house cleaned. We will do it for you. Spend time with family and relatives. Don’t worry about your end of lease cleaning, let the experts handle it!